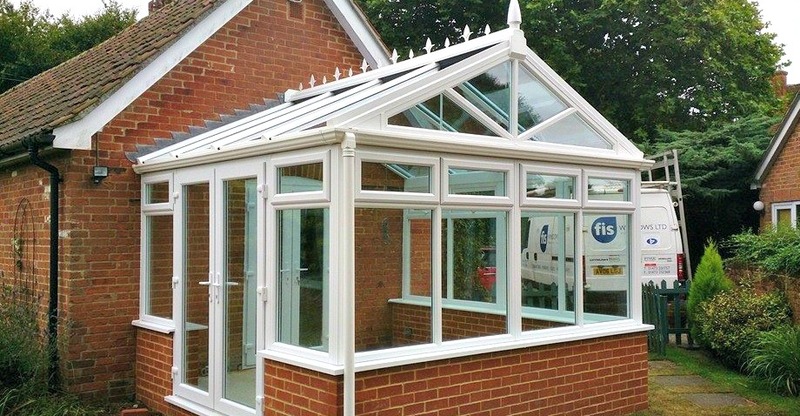 FIS has been installing conservatories in Suffolk since 2006. 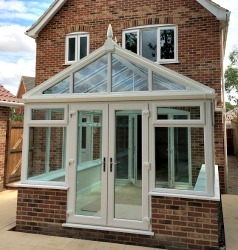 Carefully designed, our conservatories are built with our clients in mind. They are constructed with quality materials and have strong bases, insulated floors and walls. In addition they feature double-glazed windows and strong, steel-reinforced structures. 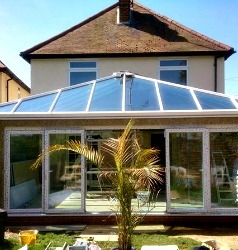 A new conservatory will provide a stunning extension to your home. It will also create a wonderful space to relax, unwind and spend time with family & friends. Built to last, our conservatories are virtually maintenance-free and will transform your home forever. For projects large or small, our conservatory specialists will create unique designs based on your needs. FIS offers a range of styles to suit your home and budget. We also offer a wide range of framing materials and colour options. With hundreds of satisfied customers across Suffolk, we are proud of our track record for quality and durability. Taking care of our customers is our primary concern, proof of which can be seen in our customer feedback. If you need inspiration for bringing that extra space into your home, take a look at some of our recent conservatory installations. so that we can help bring your ideas to life! Looking to replace your conservatory roof? More and more people are switching from the standard poly-carbonate or glass conservatory roof and opting for a traditional tiled roof. 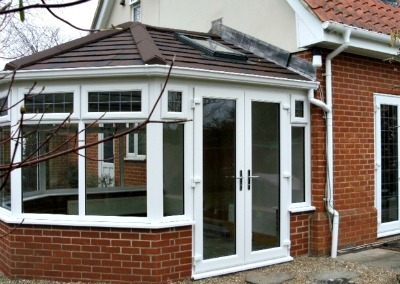 We are approved Suffolk installers of Guardian Conservatory Warm Roofs. These roofs can transform your conservatory from a cold in the winter, hot in the summer environment to a wonderfully inviting and comfortable room all year round. uPVC conservatories offer your home a bright, clean modern look, with easy to clean surfaces which are virtually maintenance free. The durable materials used offer both warmth and security and come in a variety of styles and designs. Aluminium conservatories offer an alternative to uPVC but still offer the same benefits. Frames are slimmer and can be housed in hardwood frames. Again, virtually maintenance free, aluminium frames are designed to reduce heat loss and noise. If you prefer a more traditional, classic look for your home, but still want modern designs and the benefits of a new conservatory, then a timber framed option (made with the highest-quality responsibly sourced wood) could be for you. 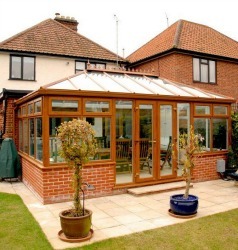 Ready to start planning your new conservatory? or complete our contact form and we’ll be in touch!